Deepak Chopra has some advice for Ivanka Trump after she quoted him in her new book. "Women Who Work" is filled with inspirational quotes from celebrities, business leaders and other luminaries. The first daughter quotes Chopra in a chapter on productivity: "In the midst of movement and chaos, keep stillness inside of you." "Ivanka means well. She is in a tough position and it is obvious she knows what's right and what's not. Perhaps she will speak up to her father soon." Chopra did not immediately respond to a request to elaborate. During the campaign last year, he called President Trump a racist with the "emotional retardation of a 3-year-old" and told a Fox News Radio host that he would be afraid for the country if Trump won the election. At least two other public figures quoted in Ivanka Trump's book have offered pointed responses. Jane Goodall, the renowned animal behavior expert, told CNNMoney on Tuesday that the Trump administration has put wildlife and the environment in jeopardy. She encouraged Ivanka Trump to "stand with us to value and cherish our natural world." After learning that Ivanka Trump cited her as an inspiring story, Reshma Saujani, the founder of the nonprofit Girls Who Code, was much more blunt. She said in a tweet: ". @ivankatrump don't use my story in #WomenWhoWork unless you are going to stop being #complicit #askivanka." 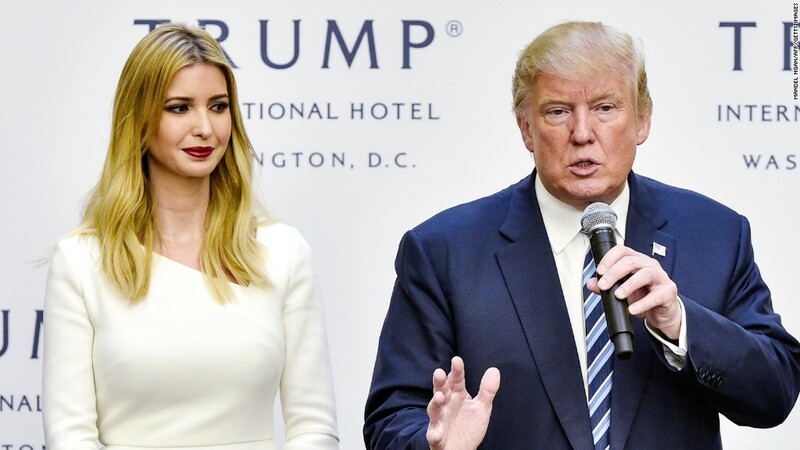 Representatives of Ivanka Trump told CNNMoney that the book is "not political." "Ivanka has always believed that no one person or party has a monopoly on good ideas," the statement said. "When she was writing this book, she included quotes from many different thought leaders who've inspired Ivanka and helped inform her viewpoints over the years."